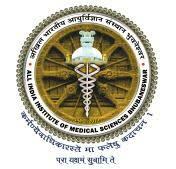 All India Institute of Medical Sciences Bhubaneswar (AIIMS Bhubaneswar is a medical college and medical research public university located in Bhubaneswar, Odisha, India. [The Institute operates autonomously under the aegis of the Ministry of Health and Family Welfare (India) Previously, AIIMS Bhubaneswar was known as the Netaji Subhas Chandra Bose All India Institute of Medical Sciences, later it became AIIMS Bhubaneswar. Candidates age limit should be 21-35 years for 1 to 3, 5 to 8, 10, 12, 14, 16, 21, 22, 23, 26, 27, 28, 32, 34, 35, 44, 55, 21-30 years for S.No-4, 13, 15, 17 to 20, 43, 45, 46, 49 Posts. For more information refer the notification. Candidates should possess B.Sc. (Hons.) Nursing from a recognized Institute/ University for S.No-1, B.Sc. (Nursing) (4 year course) from a recognised Institute/ University or B.Sc. (Post-certificate) or equivalent such as B.Sc. Nursing (Post-basic) (2 year course) from a recognised Institute/ University for S.No-2, B.Sc. (Nursing) (4 year course) from a recognised Institute/ University or B.Sc. (Post-certificate) or equivalent such as B.Sc. Nursing (Post-basic) (2 year course) from a recognised Institute/ University for S.No-3, Degree or Diploma in General Nursing and Midwifery or equivalent from a recognized University/ Institution for S.No-4, B.Sc. (Hons) Nursing from a recognized Institute/ University for S.No-5, B. Sc. (Microbiology or Medical Technology) for S.No-6 Posts with adequate experience. For more information refer the notification. Candidates will be selected based on applicants performance in Computer Based Test (CBT) / Written Test. Applicants required to pay Rs. 1000/- through On-line Mode Only via payment gateway of AIIMS, Bhubaneswar. Transaction/ Processing fee, if any, as applicable will be payable to the bank by the candidate. No fee for SC/ ST/ PWD/ Women Candidates of any community. Eligible candidates can apply online through the website www.aiimsbhubaneswar.edu.in on or before 28-06-2017. 1. Before apply Online, Applicants have Valid e-mail ID & scan and upload the requisite documents. 3. Go to Recruitment & Read the Notification. 5. Fill-up the required fields in the Application Form. Last Date to Apply Online: 28-06-2017.